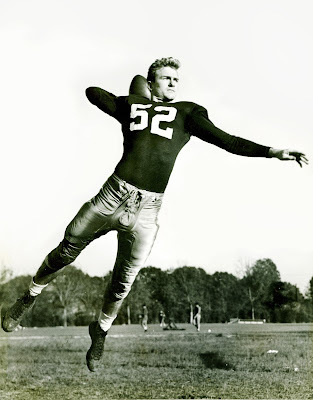 Harry Gilmer was Alabama's first superstar player. Harry Gilmer was Alabama's first true superstar player. While several Crimson Tide players became nationally renowned prior to to Gilmer's arrival at the Capstone, typically their fame came at the conclusion of their time on the Tide team. Johnny Mack Brown, Dixie Howell and others became famous with their final performances in Crimson and White. Gilmer was a household name almost his entire career at Alabama. Mr. Gilmer passed away on Saturday, Aug. 20 at the age of 90. Gilmer was famous for his astonishingly accurate jump pass but he was a superb runner as well. For opposing teams, kicking or punting to his side of the field was always a gamble, and one with absolutely terrible odds. If that wasn't enough, he also was a constant threat to intercept you on defense and had a reputation as a hard hitter. He is the only Alabama player to be a finalist for the Heisman trophy twice. 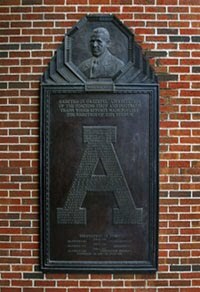 He was an all-American in 1945, SEC Player of the Year in 1945 and the MVP of the 1946 Rose Bowl. He was the first player to leave his cleat and hand impressions in the concrete at the Walk of Fame at Denny Chimes. He is a member of The Alabama Sports Hall of Fame and the College Football Hall of Fame. There is now a biography of Gilmer at the Encyclopedia of Alabama that outlines his life and career. Obituary stories are available at AL.com, the Tuscaloosa News and the St. Louis Post-Dispatch. Additionally, there is a post at Roll Bama Roll looking at Gilmer's on-field accomplishments. * Joe Namath was selected first overall in the American Football League draft in 1964 but was taken 12th in the NFL draft that same year. The two leagues merged in 1966.